Hunting Power: 55 Grain .223 SP Ammo, PRICED LOW! Performance! Brass-cased, Boxer primed, reloadable .223 soft-point bullets. All current-production rounds. Perfect for nailing game. 20 rounds per box. Muzzle Velocity: 3,230 F.P.S. Muzzle Energy: 1,273 ft.-lbs. Pick yours up right now! 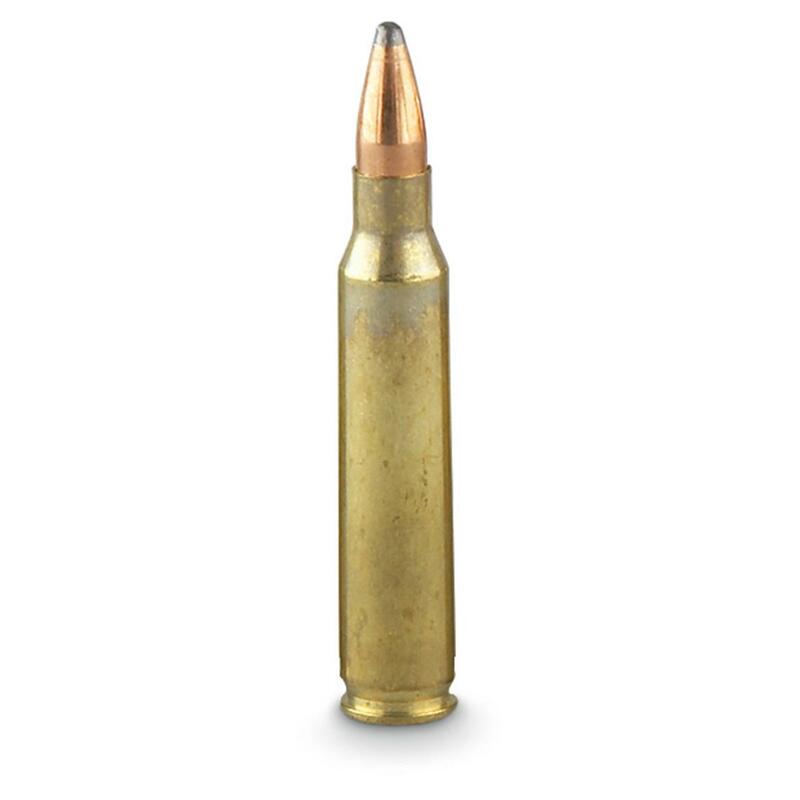 .223, SP, 55 Grain, 100 Rounds is rated 4.7 out of 5 by 11. Rated 5 out of 5 by Randy from Good ammo Got these for use in my AR for personal defense. Shoot clean and accurate. Very happy with my purchase. Rated 5 out of 5 by GaryH from Really Good Ammo The Fiocchi .223 Soft Point seems to be very accurate. For me, it is actually slightly more accurate than the Fiocchi .223 FMJ. Well packaged with clean shiny brass. Burns clean too. The price is hard to beat for hunting ammo, especially with free shipping offers. Rated 5 out of 5 by bowmike from good deal was a good deal and I hope to see how they work sometime soon. Rated 5 out of 5 by Banjobud from Good price The ammo preforms as expected. 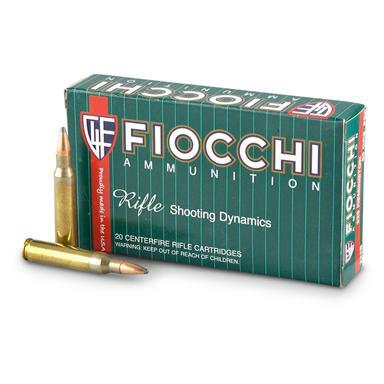 Top-quality Ammo at an affordable price!